Use the Petromax Trammel Hook made of coated steel to simply suspend Dutch Oven, Tea Kettle and Co. for cooking over the campfire. Everybody knows the saying: “Take it up a notch!” as it originates from medieval cooking places: Then kettles and pots were suspended on a trammel hook over the fire. The lower the pot hung over the fire, the faster the food was done. Now, Petromax brings this proven method into the modern outdoor kitchen. The Trammel Hook with its seven notches provides for easy regulation of the distance between pot and fire and thus, always ensures the right temperature to effectively heat and cook your food and drinks. This way you always have the cooking temperature under control, also in your outdoor kitchen. Solid mount for Dutch Ovens and Co. 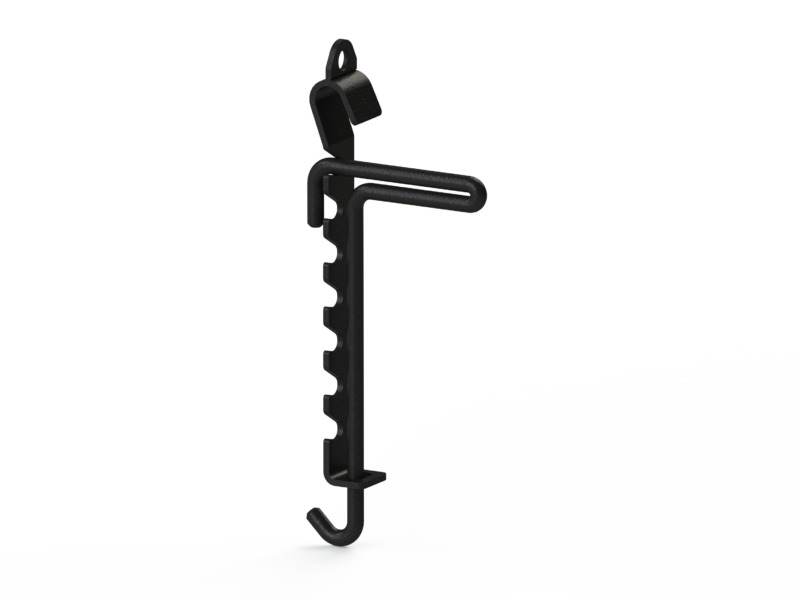 The mount of the Trammel Hook – a combination of eye and crook – allows you to use it attached to a tripod or at a crossbar over your fireplace. Thanks to the lower guide, the Trammel Hook will never be completely released when adjusting its height. 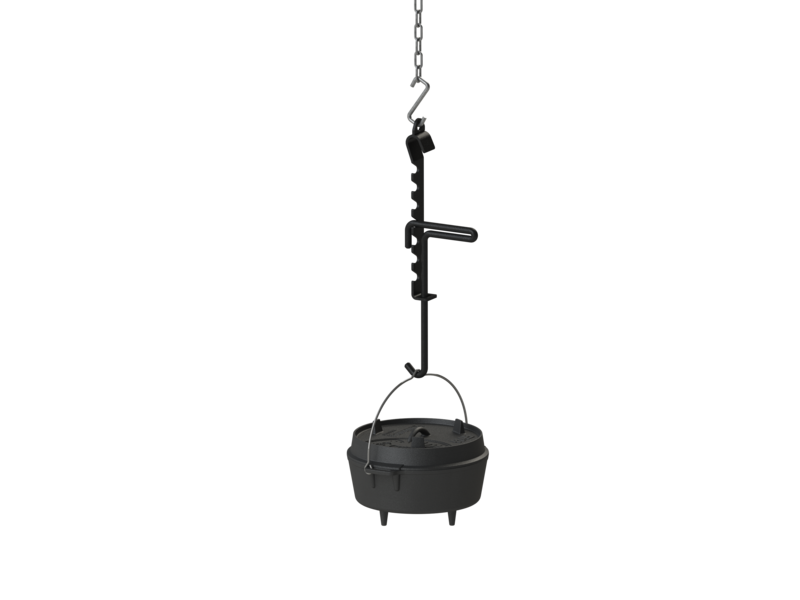 The Trammel Hook with its solid design and components offers you a stable and reliable outdoor cooking place for heavy pots and kettles. The Petromax Trammel Hook kh7 is now available in our online shop . The right Dutch Oven size – your better half for a lifetime!